The Sears Mastercard currently has an Informr score of 5 out of 10. This score is based on our evaluation of 1 sources including reviews from users and the web's most trusted critics. Sears Mastercard is typically available to those with good credit scores (650 or greater). 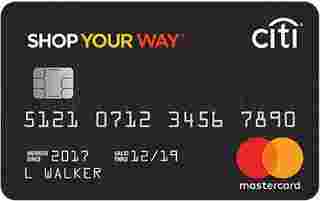 The Sears Shop your Way MasterCard offers an exceptionally high 5-percent rewards rate on your gas purchases, making it one of the most rewarding gas cards — if you don’t mind spending your rewards at Sears or Kmart. On purchases within the first 30 days.